In 2016, we announced some changes to the Diploma Programme (DP) mathematics Higher Level (HL) paper. This was in response to our school community who had been telling us that students found mathematics HL more challenging than other similar subjects. Our own data also revealed evidence to suggest the examinations were out of line with what these students achieve in their other subjects. 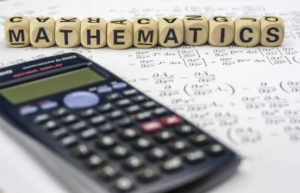 Research suggests the curriculum covered in mathematics HL is the right material to prepare students for using higher level mathematics in their future university careers. This includes subjects such as economics, the sciences, engineering or any other mathematics discipline. What we discovered was we were asking students to spend too much time thinking during what is a relatively short examination. We compared this to the time it takes to tackle complex mathematical challenges in the real world, and this is what we sought to address. In May 2017, we planned and undertook a course of action to reduce the number of questions in the paper. The questions themselves were identical to those we have always asked, there were just fewer of them so students could spend more time on each and show their full potential. Asking fewer questions does have some disadvantages. We have deliberately decided not to try to squeeze in a question on every topic on every examination. Instead, we mapped what we do in other subjects to ensure consistency. Now we ask questions that test a student’s understanding on most topic areas while ensuring that every topic area is covered regularly over the life of the curriculum. Following the marking of this paper in the May 2017 examinations sessions, we were pleased to see that candidates were getting more marks than they had in previous years, even though the questions themselves were equally challenging. When setting grade boundaries, we asked our examiners to find examples of students’ work that are a reasonable match of our grade descriptors. This year we have made sure they recognize that they are looking for the same quality of mathematical understanding as in previous sessions. Be assured, we will continue to work hard to make sure that a grade in this subject is equitable with that grade in other higher-level subjects. What difference has this made to students? Feedback suggests this was a positive change and beneficial for students. Teachers also feel students have had a fair chance to show their potential in this paper. We have also found that students are getting better grades with an increase in the awarding of 6 and 7, where previously these students may have achieved 4 or 5 simply because they weren’t quick enough to complete the number of questions rather than lacked understanding. On this note, congratulations to the mathematics HL class of 2017! Matthew Glanville is the IB Head of Assessment Principles and Practice.